As usual it wasn’t pretty (the term “sausage-making” seems disturbingly apt), but H.R. 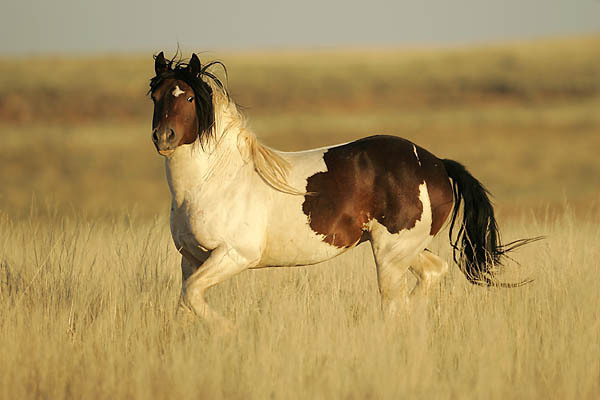 1018, a federal bill to protect wild horses and burros from commercial sale and slaughter and also from wholesale government-sponsored killing, made it through the House. The vote was 239-195. 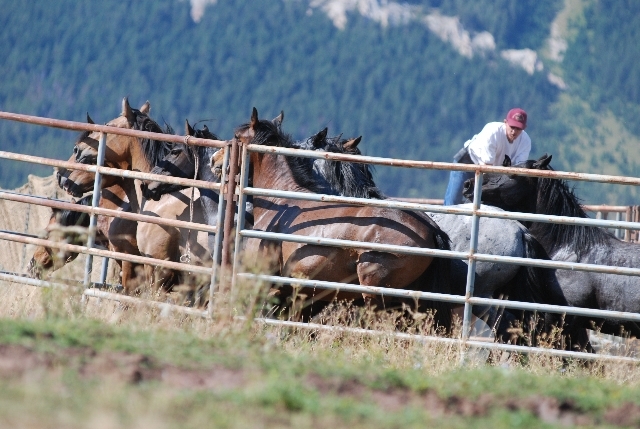 Among other things, the bill directs BLM to make wider use of fertility controls and to let horses occupy more of public lands. 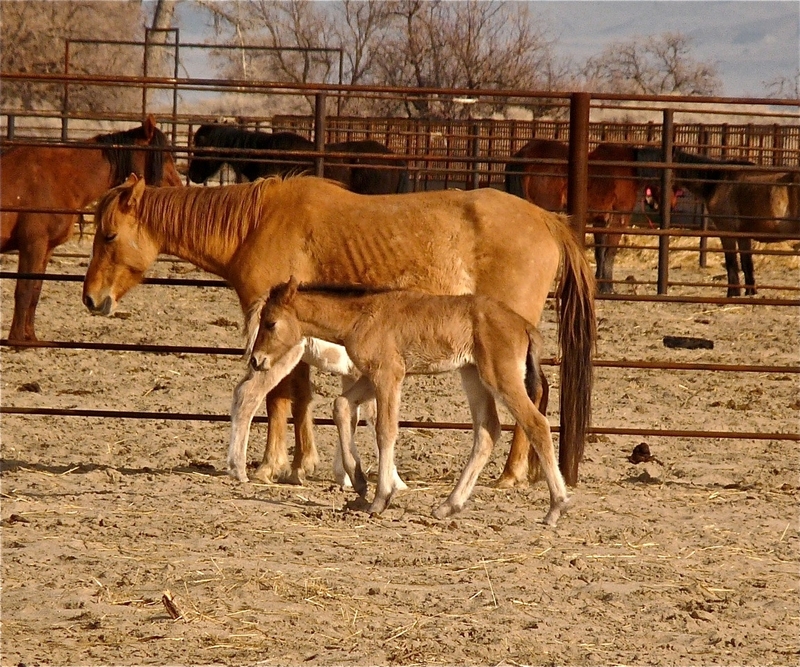 The hope is that if this bill makes it into law, it will prevent any more situations like that of last summer when BLM announced plans to kill 30,000 wild horses, only to have Madeleine Pickens (wife of T. Boone) announce that she would underwrite the horses’ continued existence (see post here), only to have that too not come to pass. If this bill passes, we can cross off at least one ridiculous governmental fire drill (with potentially disastrous consequences) from the list of things we need to worry about. I want to say a brief word about animal rights. Or rather I want to say a brief word what they are not about. The media often brands advocacy organizations opposing the mistreatment of nonhumans as “animal rights groups” regardless of the groups’ actual purpose or philosophy. 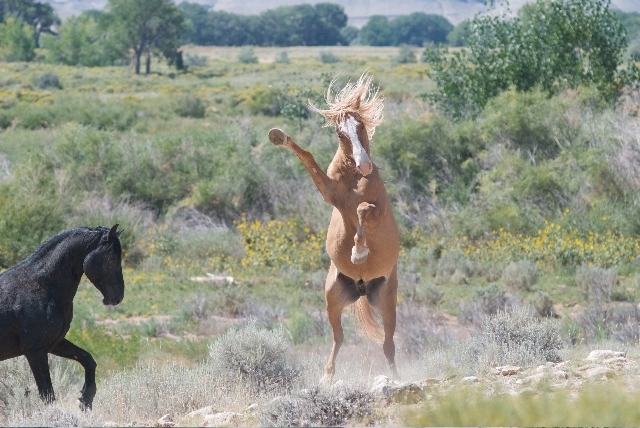 For example, here discussing opposition to the proposed “euthanization” of thousands of wild mustangs, the Washington Post lumps the American Wild Horses Preservation Campaign (among others) under the rubric of animals rights groups. The AWHPC is an umbrella organization for 45 groups, most of which are far more concerned with horses not dying than with the nature and scope of horses’ moral or legal claims. Furthermore, the WaPo also tells us that Madeleine Pickens, wife of billionaire oilman, T. Boone Pickens, intervened and pledged to save the horses. I feel confident opining that Ms. Pickens does not consider herself an animal rights activist. My guess: she just likes horses. Not being animal rights-oriented doesn’t make Ms. Pickens a bad person or the AWHPC a bad organization anymore than not being a pear makes an apple a bad fruit. They are just different. I intend to write more about how animal advocates of all stripes as well as the causes they champion get routinely marginalized through this type of careless rhetoric. If animal rights are to mean something, they cannot mean everything. 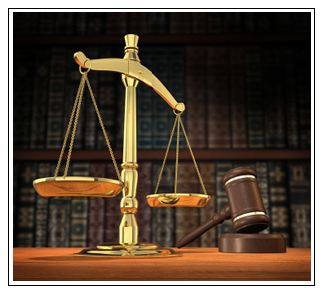 Codifying what animal rights do mean, however, is a post for another day. Update, March 2009: It is not looking good for the Pickens-funded sanctuary.